The Yoga Trapeze® is the most powerful, at home yoga inversion tool ever created. 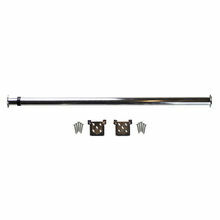 Hang it of a doorframe or from an exposed beam, bar, swing set, tree branch, the options are endless. Setup is fast and simple, results are immediate. With our Yoga Trapeze® Tutorials you can get familiar with the Yoga Trapeze® and how to easily and safely perform each pose. Yoga Trapeze® Tutorials - ONLINE PROGRAM has been added successfully to your wishlist. The Yoga Trapeze® is the most powerful, at home yoga inversion tool ever created. Hang it of a doorframe or from an exposed beam, bar, swing set, tree branch, the options are endless. Setup is fast and simple, results are immediate. There are currently no reviews for Yoga Trapeze® Tutorials - ONLINE PROGRAM, but you can be the first!